Perhaps surprizing to some, many species of frogs and toads display parental care to either their eggs and/or their tadpoles. Care can come from male or female frogs and toads, but seems to be shown more often by the males. Perhaps this is because the females have had a harder time physically by producing the the eggs, and after egg laying need to replenish their bodies with insect and arthopod food sources. Darwin's frog males have a very unusual behaviour in the amphibian community. After the male and female mate, the female lays her eggs in moist leaf litter on the forest floor. She then hops off, leaving the male to attend to them. Dutifully he watches over the eggs until a few days later when they begin to transform into tiny tadpoles, but still encased in the egg sac. The movement inside the eggs stimulates the father frog to then &apos;take into his mouth&apos; the eggs, where they lodge in his vocal sack. There they remain until morphing into miniature copies of their parents, upon which he opens his throat and allows them to leave, unharmed, and ready to begin their lives on their own. I have two curious 1st grade students that asked a very good question today and I am not able to find an answer on the web. Your pages and all of their information are phenomenal, so I thought that I would see if you have the answer for the little future biologists. We read a book on the life cycle of frogs today and they wondered how the tadpoles get out of their eggs. Most information just talks about the tads hatching and don't really explain how that happens. We had previously read a book about a baby bird and how it used its beak to break out of the shell, so their question is very, very good. I promised them that I would find an answer for them and have had no success, so far. Can you help us out? Thank you! As a child myself, I would watch the phemomena of the tadpoles hatching. Most all will begin to hatch at the same time, so the development cycle is about the same. However, some will not hatch until the next day. Also, even without pollution and other environmental factors, some will be born deformed. The larger the egg mass, the more deformities one will encounter. Some eggs do not hatch at all, the tadpole died in the egg...some do not develop, so were not fertilized, and never 'hatch.' From what I watched, it reminded me of watching a butterfly emerging from their cocoon...the tadpoles seem to be building up their strength when using their sucker-like mouth disc to hang onto the shell after birth. When strong enough, they leave...like a butterfly waits on their cocoon to pump their wings full of blood and harden the exoskeleton. Centrolenid male frogs from South America attend to their egg clutches (usually containing 40 or less eggs) by not only guarding the eggs from parasitic wasps and other insects, but sitting on them during the daylight hours in order to keep them moist. The hairy frogs (Arthroleptidae) also sit on their eggs that have been laid in streams. Sitting over them helps to keep watery predators away until the tadpoles hatch. Megophryidae males also guard their eggs that have been placed under boulders at the edges of forest streams. The commonly named Moustache frog, or Vibrissaphora ailaonica undegoes quite a transformation just before the breeding season. The males begin growing long, hairlike skin extensions from one end of their mouth to the other, hence the nickname. They also choose a large boulder near a stream and begin building a nest underneath it. From here they will call incessantly for females, and then guard the eggs of any and all females who come and mate with them. The eggs typically take a month to hatch and slip into the waters below. Metamorphosis will not fully occur until two years later. The microhylids Anodenthyla, Platypelis and Plethodontohyla, which are all native to Madagascar, deposit their eggs in the rain filled axils of plants. Male frogs then stay nearby the eggs for anywhere from 26 to 35 days; the time it takes for the different species to hatch. Male Leptodactylid Thoropa petropolitana also similarily care for the eggs. 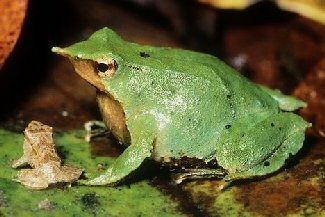 The microhylid males Breviceps adspersus and Synapturanus salseri also do the same. 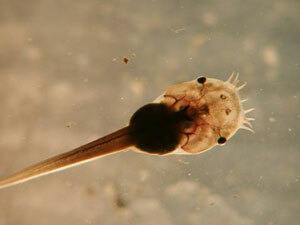 The genus Alytes contains the midwife toads cisternasii and obstetricans . Both species attach the fertilized eggs to their hind legs. This starts by the male wrapping them first around his ankles. Sometimes they mate up to four times, carrying up to 200 eggs upon their bodies! 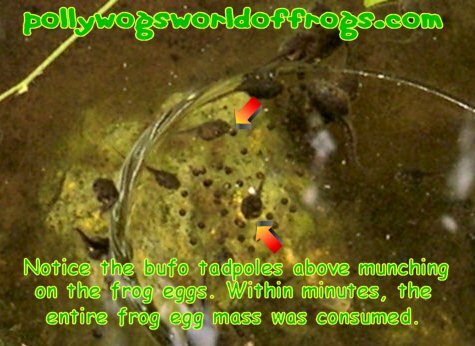 The father frogs then keep the eggs moist by settling into shallow puddles and pools, allowing the eggs to double in size. Midwife toads sense when their charges are ready to hatch, and will then wade into shallow waters to allow the young tadpoles to escape and seek refuge. From egg to morph takes anywhere from 110 to 140 days, and 2 years before the young frogs are themselves old enough to breed. Some frogs create foam nests to protect their eggs and tadpoles. Most of these foam nests are made by the amplexing pair, but at least one species makes a cooperative foam nest, with tens of pairs of the same species of frogs making use of one large nesting space. The result is one big, long foamnest, usually attached to a horizontal branch of a tree. The frog known to do this is the African gray treefrog, or Chiromantis xerampelina. Although rare, there are species of frogs in the world who utilize internal fertilization to aide in further protecting their species. The tailed frogs (of which there are two living species) from the genus Ascaphus are among those few frogs who have developed unique methods to do this. In the Pacific Northwest fall, the males and females gather near the numerous streams. The frogs do not sing, but find each other anyway. 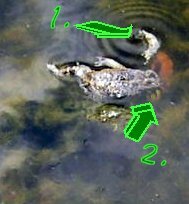 Amplexus is inguinal, and the tails help the males navigate the sperm into the female frogs' cloaca. She will later deposit the eggs that are internally fertilized underneath rocks in the stream. The tadpoles can take up to seven years to morph, and another three to eight years before reaching sexual maturity. 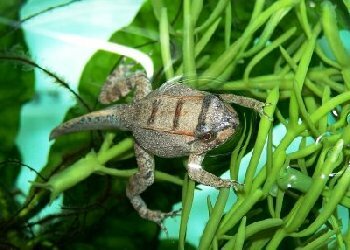 The African toads from the genus Nectophrynoides, and a handful of Eleutherodactylus also make use of internal fertilization. Frogs such as dendrobates, intentionally lay extra eggs in the cups of water filled bromeliads, so that the strongest of tadpoles can prey upon their brothers and sisters. Pacmans, Mantellas and Pixie bullfrog tadpoles are some other of the cannibalistic tadpoles. I have seen xenopus laevis eat not only their own young, but the egg masses they've laid too. One of the most voracious of eaters, even morphs of a good size can become prey to their adult counterparts. A good reason to definetly keep these frogs in sets around the same size! As for those opportunistic cannibals, I have personally witnessed adult bufo terrestris accidentally eating their newly morphed young. The newly morphed may look more like insects to the adults. However, within a few days of the young toadlets morphing, their posture has grown to a size I believe allows the adults to recognize and they are no longer threatened. 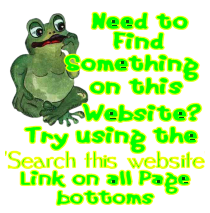 See Frog Eyesight for more info.